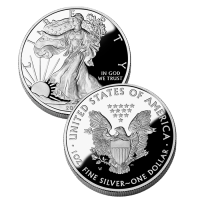 The 2010-W $1 American Eagle Silver Proof Coin is part of a series that first appeared in 1986 and was authorized as part of the Liberty Coin Act (Public Law 99-61). In the Act, the Mint was required to produce coins containing .999 fine silver with a diameter of 40.60 mm and a weight of 31.1 grams. The intent for the coins was to provide the public with a cost-effective way of buying silver guaranteed for content and purity by the government. 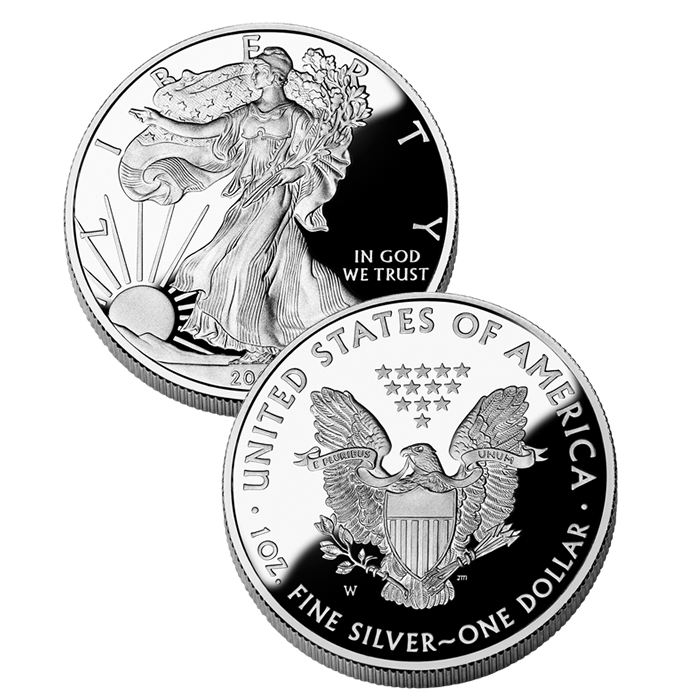 The 2010 Proof American Silver Eagles were released on November 19, 2010. The Mint cancelled sales of the 2009 American Eagle Silver Proof Coin due to unprecedented demand for the bullion version of the coin. Featuring identical designs, the Silver Eagles are typically produced in bullion, uncirculated and this proof variety. Both the proof and the uncirculated coins are sold directly by the Mint to the public as numismatic issues while the bullion coins go through a network of authorized purchasers. Upon release, the US Mint charged $45.95 per Silver Eagle.